Two South Coast beaches were closed today after white sharks were spotted nearby. Photo: Glynis Quinlan. South Head and North Head beaches in the Moruya area were closed today (January 7) following the sighting of four white sharks, with several other South Coast beaches evacuated in recent days. Yesterday, North Broulee beach was evacuated during a busy weekend swimming period around 12:30 pm after helicopter patrols identified a 2.2-metre white shark. Sharks have also recently been spotted at places such as Bengello, Greenfields, Sussex Inlet, Tapalla Point, Seven Mile, and Conjola. However, surf lifesavers say that the risk to swimmers is quite low provided they swim at patrolled beaches. CEO of Lifeguarding Services Australia, Stan Wall, said four sharks had been sighted between the middle of Broulee Beach and South Head beach, with South Head and North Head beaches closed for the full day today (January 7) and at least until tomorrow afternoon. They have also advised people not to swim at Shelly Beach or at the lower half of Broulee Beach. Mr Wall said South Head and North Head beaches were evacuated at 7:46 am after the Department of Primary Industries (DPI) helicopter saw a shark in the area. “At 8 am we sent a lifeguard out on a jet ski and the sharks hadn’t gone away,” he said. Mr Wall said that more sharks are spotted at this time of year because more resources are put into finding them including professional lifeguards on patrol and the DPI helicopter flying over twice a day. However, he agrees that it is also a busy time for tourists as they flock to the beaches – some of which are now closed. Mr Wall said that swimmers are redirected to other beaches away from the sharks. 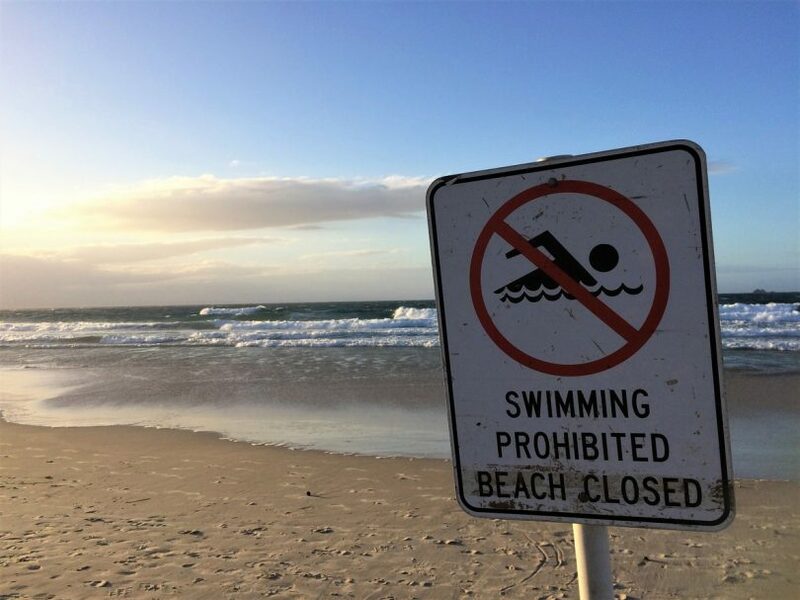 “Lifeguards have been redeployed to other swimming beaches in the Eurobodalla and locals and visitors wanting to dip their toe, or something more, should visit a patrolled beach,” he said. The other patrolled beaches in the Eurobodalla Shire are at Surf Beach, Malua Bay, South Broulee, Tuross Head, Dalmeny and Narooma. Far South Coast Surf Lifesaving NSW spokesperson Andrew Edmunds said the North Broulee beach is unpatrolled and so is just monitored through aerial surveillance. “If the public are concerned the best thing they can do is swim at a patrolled location,” Mr Edmunds said. He said that three types of shark have been deemed hazardous by the DPI – namely, white sharks, bull sharks and tiger sharks – with mitigation strategies such as aerial surveillance used to reduce the risk. A spokesperson for the DPI said that when sharks are observed or detected, alerts are posted on the Department of Primary Industries’ SharkSmart app and Twitter. To see them go here: https://twitter.com/NSWSharkSmart. respect the ocean – sharks are important for healthy seas.